Fidget finger toys are widely welcomed in Europe and North Americans. Although they are just simple assembles with plastic and metal, they are great for anxiety, ADHD, Autism, Quitting Bad Habits, and effective for focus and deep thought. As a 5-star Amazon best-seller, it seems to be a hot point at a stormy speed. 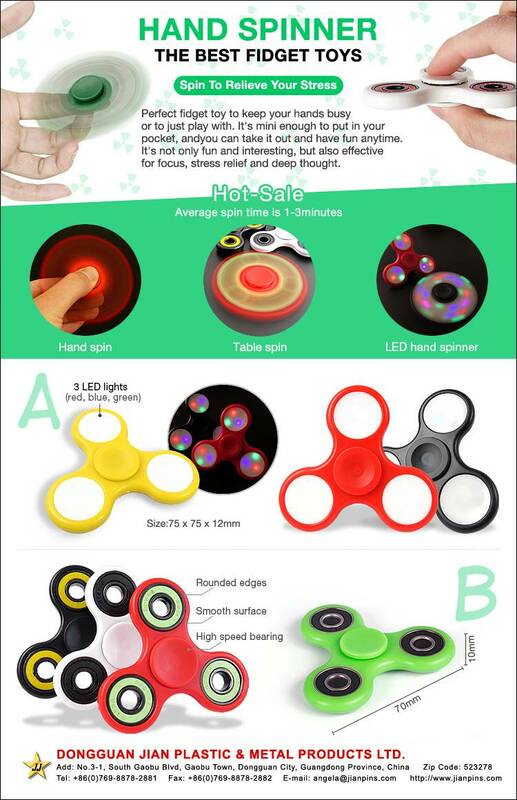 Jian offers various stylish fidget spinner toys with high quality and competitive price. Send an inquiry to get a best quote.